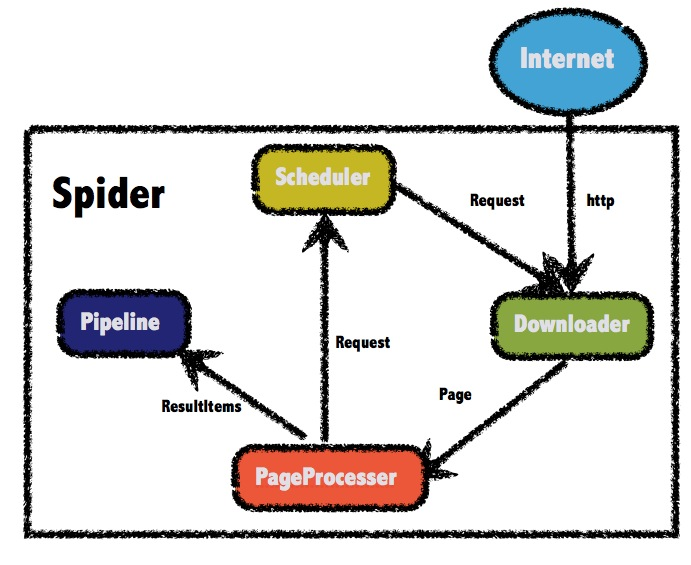 Introduction: A scalable web crawler framework for Java. A scalable crawler framework. It covers the whole lifecycle of crawler: downloading, url management, content extraction and persistent. It can simplify the development of a specific crawler. Simple core with high flexibility. Simple API for html extracting. Annotation with POJO to customize a crawler, no configuration. WebMagic use slf4j with slf4j-log4j12 implementation. If you customized your slf4j implementation, please exclude slf4j-log4j12. Write a class implements PageProcessor. For example, I wrote a crawler of github repository infomation. There are more examples in webmagic-samples package. A crawler framework in Python. Another crawler framework in Java. A web console based on WebMagic for Spider configuration and management.